This week, I’m offering my take on the notion than Twitter is broken. David Auerbach did a fine job of arguing just that in Slate recently, and I agree with much of what he wrote, but my conclusion might surprise you. I’m also offering some thoughts on our struggle to deeply understand terrorism and the people who engage in it. 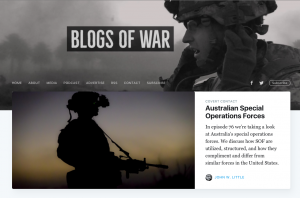 I’ll share some of my concerns about our progress in this area and recommend that you read an excellent piece by Lieutenant Colonel Jason Logue, an Australian Army Information Operations specialist, Fighting the Narrative: Understand to Effectively Engage in the War of Ideas. And then I’ll share some thoughts about terrorism and technology. ISIS stormed through Twitter just a few weeks ago and now many of them are paying the ultimate price for their trolling. I’ll explain why terrorism, social media, and apps aren’t the potent mix that many people fear they are and tell you who really stands to gain from these tools. A very thoughtful question from a listener follows.